Less than a week ago, Google made the Android 5.0.1 Factory Image available for the Nexus 5. A few days before that, T-Mobile's Nexus 5 and Nexus 6 each received an update to Android 5.0.1. And earlier this month, the HTC One (M8) and HTC One (M7) Google Play edition devices also received Android 5.0.1. Now comes word that Google has made the Android 5.0.2 Factory Image available for the OG Nexus 7. In addition, the Android 5.0.2 update is being sent out OTA to the OG Nexus 7. The build number of the update is LRX22G and the update will fix an issue that the tablet has with storage, and another issue that deals with the alarm on the slate. The 2012 version of the Nexus 7 never received Android 5.0.1, and instead is going straight to the new build. That could indicate that this will be a device-specific update intended to fix those issues that ailed the OG Nexus 7. The Factory Image is used by those who are in the midst of customizing their device and have lost their way. By flashing the Factory Image on the Nexus 7, for example, the tablet will be loaded up with Android 5.0.2 instead of becoming a useless brick. Another use for the Factory Image would be for those who have rooted their Android device and will miss the opportunity to receive an OTA update. By flashing the Factory Image on their phone or tablet, the device owner can receive the update. 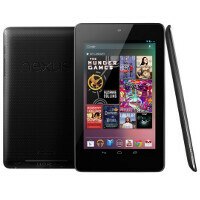 If you own the Asus built Nexus 7 and need to flash the latest Factory Image, simply click on the sourcelink. Google, get your wares right! I'm still waiting for 5.0 on my n7. I'm still.waiting for 5.0 on my 3G Nexus 7 OG (2012). Google.what are.you doing? Be happy :) I have Nexus 7 (2012) WIFI 32 GB. Since Lollipop my tablet behave like mule. I'm not alone with that experience, 5.0 made Nexus 7 (2012) close to useless for too many people. Various "fixes" helped just a little. I think I'll stay away from lollipop. Downgraded back to KitKat and rooted, now I am running faster than out of the box. I just don't know why I try to fix something that isn't broken. I upgraded around thanksgiving from kit kat to lollipop thinking it would be a great thing to do wrong - worse mistake I ever made. I have been suffering with lag times, jittery responses, and overall poor performance. Not being a techie minded person I can't even get my desktop to "recognize" the nexus7 to flash the upgrade. So I am forced to wait until an over the air upgrade to 5.0.2 - I am NOT a happy camper. Works like a charm on my 2012 N7. It's nice to have a fast tablet again without any app restrictions. android 5.0 gave my nexus 4 a new live, i can now use it for almost 2 days instead of charging it at the end of the first day. So how many popup ads and malware will I have to wade through to get the actual and real upgrade to 5.0.2 .....??????????????????????????? ?